Ashley Michael grew up in Louisville, Kentucky and attended duPont Manual High School and the Youth Performing Arts School. She earned her Bachelor’s degree from the University of Michigan, majoring in Theatre Performance. Throughout childhood, high school and college, she performed in numerous professional and amateur productions. The theater training she received provided her with invaluable skills which translate beautifully to the courtroom. Specifically, Ashley has mastered the art of communicating to a diverse cultural audience, which gives her an edge in convincing judges and juries to find for her clients. Ashley graduated from Indiana University School of Law-Bloomington. It was there she gained her passion for criminal defense. She was first exposed to the criminal law by working with the Inmate Legal Assistance Project — a federal government sponsored organization which assisted inmates at the federal penitentiary in Terre Haute, Indiana with various legal matters, focusing on post-conviction appeals. Ashley gained knowledge of the Federal system by working as an intern to the Honorable Tanya Walton Pratt, Federal District Judge for the Southern District of Indiana. There, she assisted the judge by researching various legal issues and drafting memoranda. 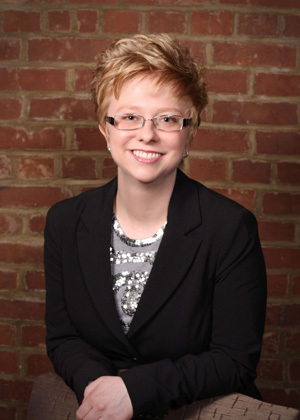 During law school, Ashley worked for the Lawrence County Public Defender Agency in Bedford, Indiana. Representing criminal defendants under a Limited Practice License, she zealously advocated for people charged with violations of the Indiana Criminal Code. From misdemeanors to murder, Ashley played an invaluable role in the representation of indigent criminal defendants. Upon returning to Louisville, Ashley worked as a Staff Attorney at the Louisville Metro Public Defender’s Office. There, she represented hundreds of indigent clients charged with criminal offenses. She defended the following types of cases: housing code and animal control violations, DUI, bad checks, welfare fraud, credit card fraud, drug offenses (possession, manufacturing and trafficking), criminal non-support, theft (including shoplifting), robbery, burglary, assault (including domestic violence), fleeing and evading, firearm offenses, prostitution, escapes, parole violations, sexual crimes, and fetal homicide, among others. Ashley is licensed to practice law in the Commonwealth of Kentucky, and is a member of the Kentucky Bar Association, the Louisville Bar Association and the Women Lawyer’s Association. Her principal geographic practice area is in Jefferson County, but she is willing to travel throughout the Commonwealth to represent criminal defendants.